It's always good to look at things from a different perspective. 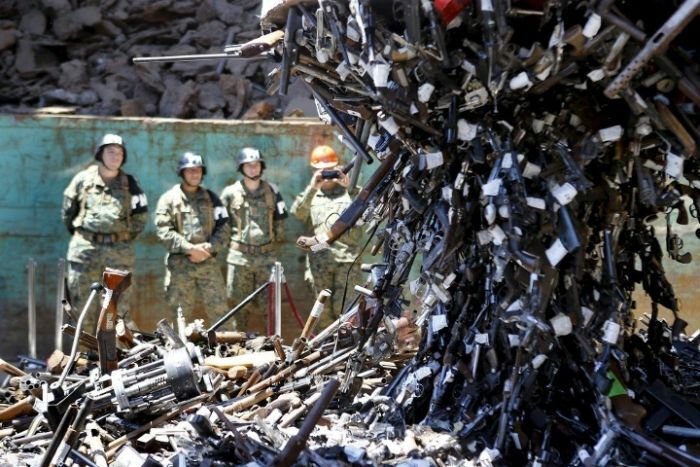 Confiscated weapons hang from a magnet before being destroyed at a foundry in Santiago, Chile. 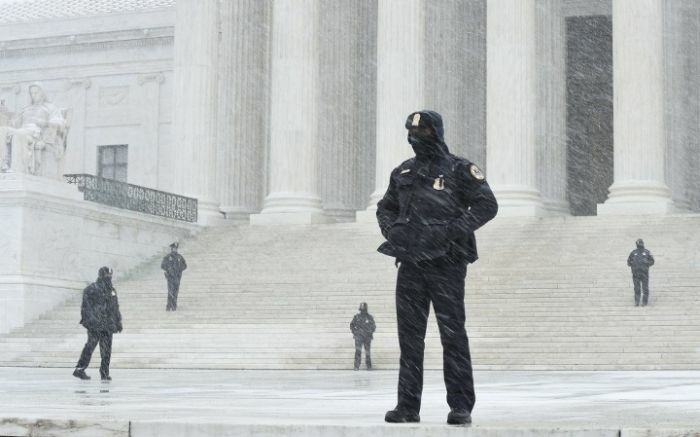 Officers stand outside the Supreme Court in Washington which has been brought to a standstill by a massive snowstorm. 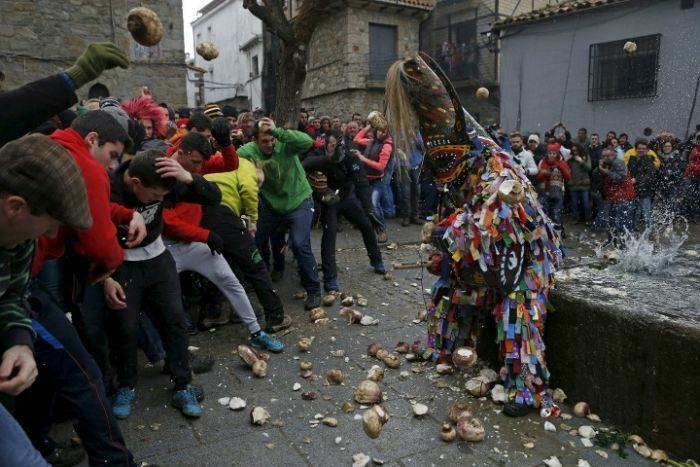 Revellers throw turnips at the Jarramplas during the Jarramplas traditional festival in Piornal, Spain. 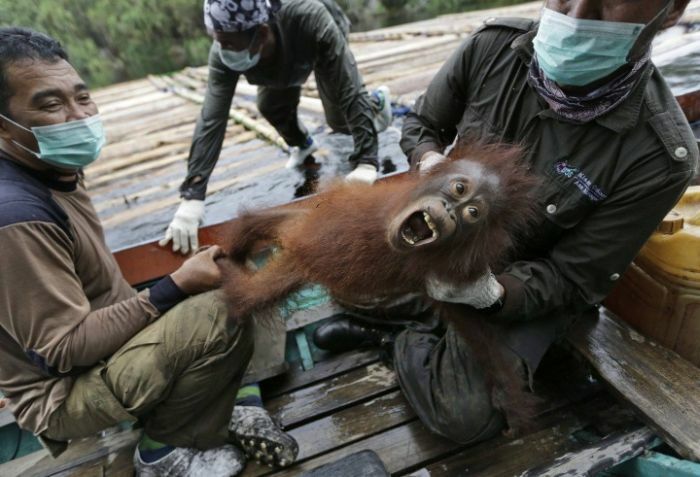 Conservationists of the Borneo Orangutan Survival Foundation hold a baby orangutan rescued along with its mother from forest fires in Kalimantan, Indonesia. 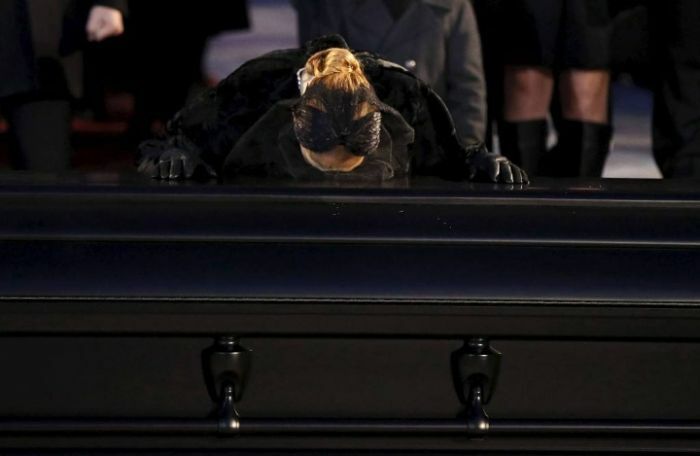 Singer Celine Dion kisses the casket of her husband Rene Angelil following his funeral at Notre Dame Basilica in Montreal. Her brother also died from cancer in the same week. 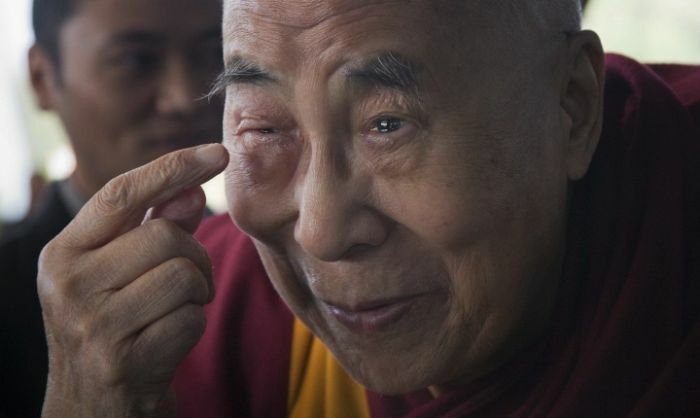 Tibetan spiritual leader the Dalai Lama points to his swollen eye before boarding a flight for the Mayo Clinic in Rochester, Minnesota, for a regular medical checkup. Boys eat at a rubbish dump where they are collecting recyclable waste outside Yemen's Red Sea port city of Houdieda. PETA activists protest in front of Brandenburg Gate prior to the opening of the Berlin Fashion Week in Germany. Demonstrators take part in protest against the attack on Bacha Khan University in Peshawar, Pakistan. 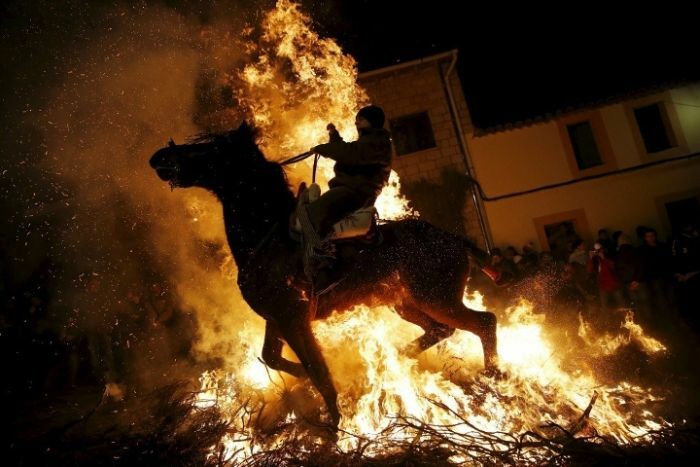 A man rides a horse through the flames during the "Luminarias" celebration on the eve of Saint Anthony's day, Spain's patron saint of animals, in the village of San Bartolome de Pinares, Spain. A woman carries a girl during protest outside the United Nations offices against Saudi-led air strikes, in Yemen's capital Sanaa. A migrant lashes out at a dismantled area of the camp known as the "Jungle", a squalid sprawling camp in Calais, France. 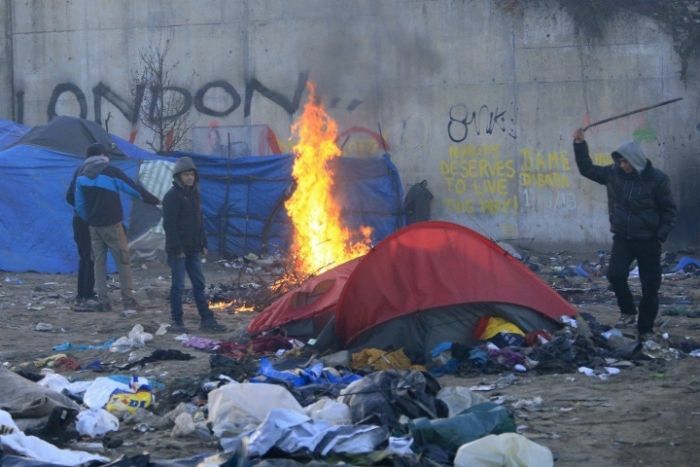 French authorities attempted to remove occupants after the camp encroached on a port terminal. 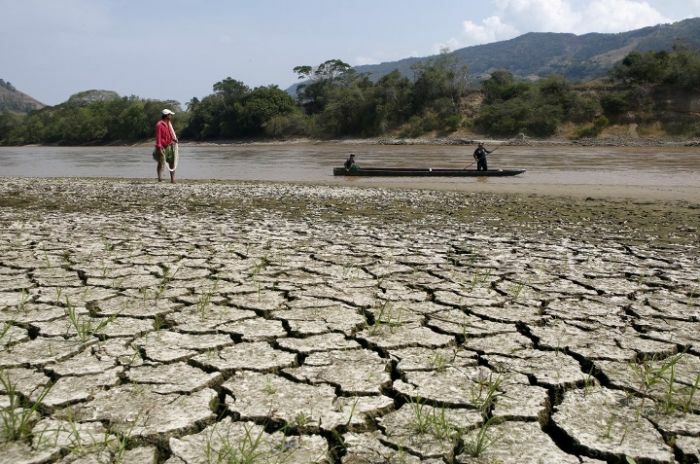 A fisherman stands on the shore of the Magdalena river in Columbia, which has seen severe drought as a result of El Nino. 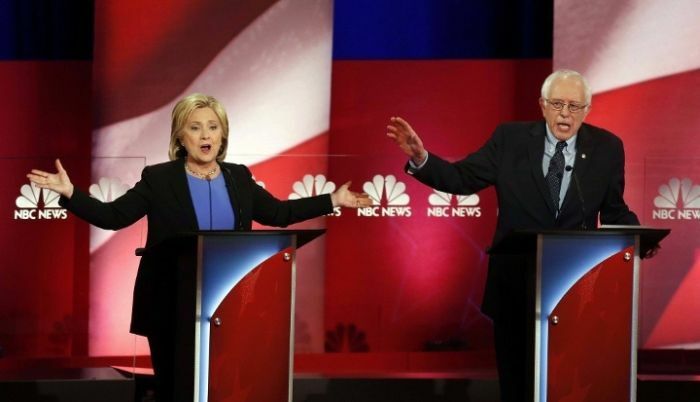 Democratic presidential candidates Hillary Clinton and Sen. Bernie Sanders clash at the democratic presidential primary debate. 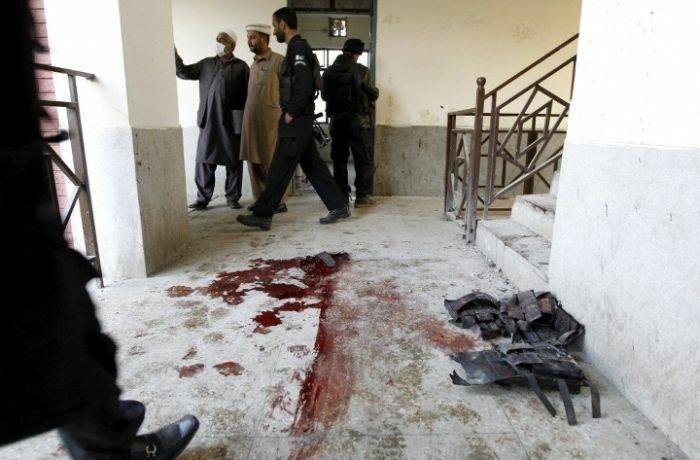 Blood stains and flak jackets cover the floor of Bacha Khan University, Pakistan, where a militant attack killed 22. 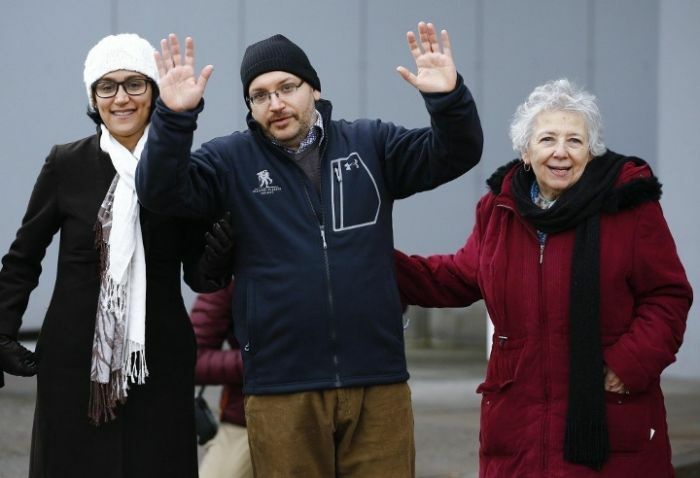 Jason Rezaian, one of the U.S. citizens recently released from detention in Iran, waves as he arrives in Germany for medical treatment. 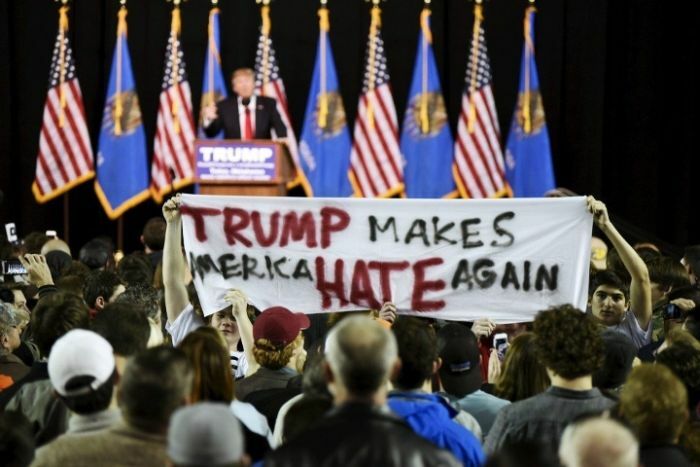 Protestors hold up a sign towards the crowd at a rally for U.S. Republican presidential candidate Donald Trump at Oral Roberts University in Tulsa, Oklahoma. 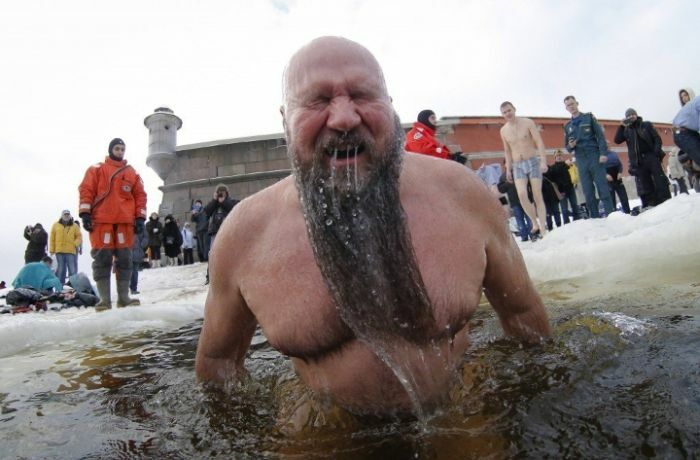 A man immerses himself in icy waters during celebrations for the Orthodox Epiphany on the ice-covered lake near St. Petersburg, Russia. 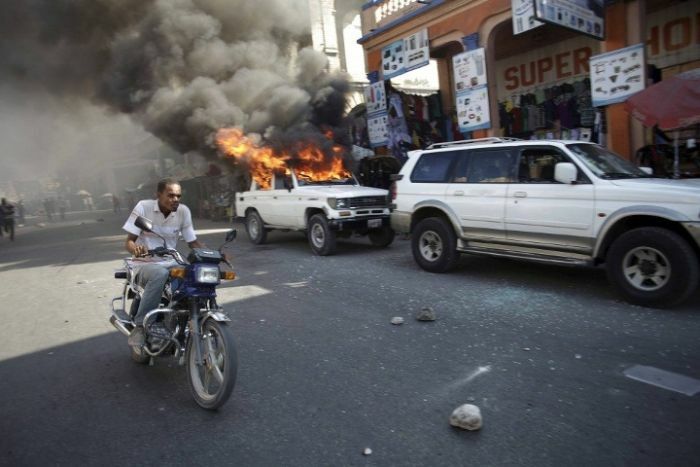 A man riding a bike passes next to a car that was set afire by protesters during a demonstration against delayed elections in Port-au-Prince, Haiti. 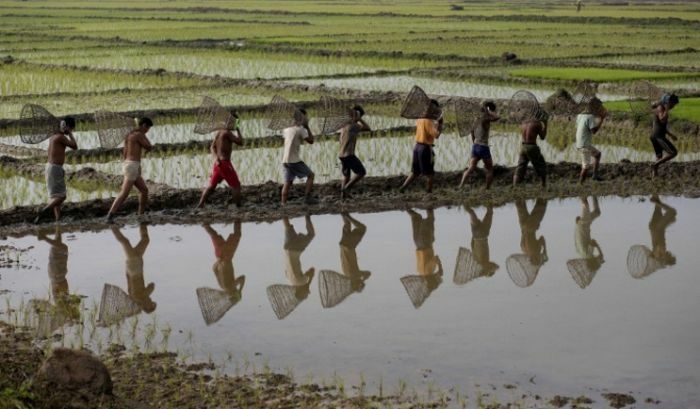 Indian men belonging to Tiwa tribe walk on a paddy field as they arrive with their fishing tackle for the Jonbeel festival, near Gauhati, India. 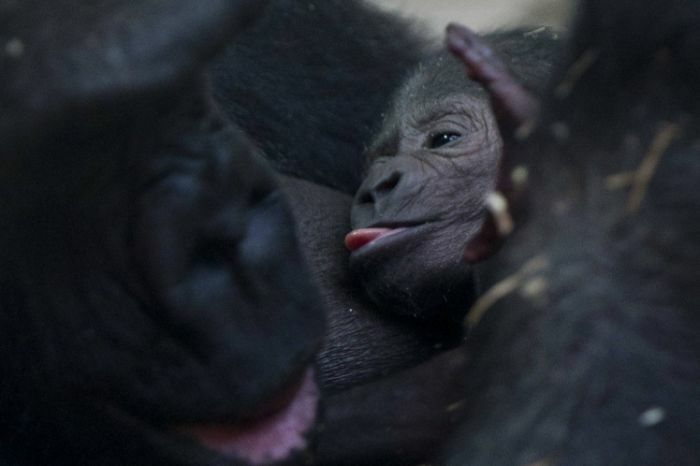 Sindy the gorilla feeds her newborn baby at the Artis Zoo in Amsterdam, Netherlands. 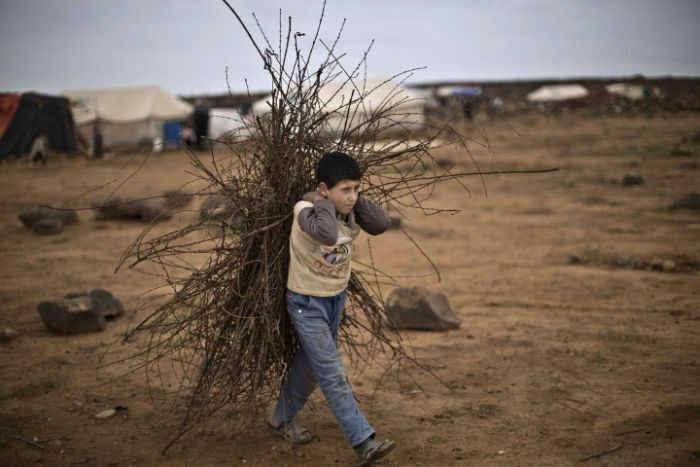 A Syrian refugee boy walks back to his family's tent after collecting wood to be used for heating, at an informal tented settlement near the Syrian border on the outskirts of Mafraq, Jordan.